Rumours of a military coup brewing in the Philippines have been dismissed as “fake news”. Speaking to reporters today (Thursday, September 14) Defence Secretary Delfin Lorenzana rubbished rumours of a plot allegedly fuelled by opposition Senator Antonio Trillanes IV. He added that there might be “one or two persons” trying to sow discord with the false information. 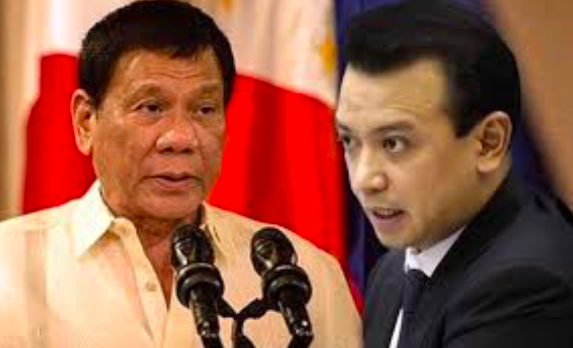 During a senate hearing on the 2018 defence budget, Senator Trillanes sought to clear his name amid reports he is recruiting members of Philippine Military Academy class 2006 to join the coup attempt. Sen. Trillanes, a former Navy officer who was jailed for his part in at least two coup attempts, asked army chief Eduardo Año if they had intelligence reports that a politician was actively recruiting for a coup. He added that retired Brigader General Joselito Kakilala was allegedly spreading the information in military circles. In response, Año said: “With regard those information, they have to be validated. So far we have not validated and we have not seen any cause for dissatisfaction. Lorenzana said that he knew Kakilala, but had no further information on the issue. “We haven’t talked yet. I just found out about it now. Before this, I didn’t know he’s releasing something like that.,” he said. Former President Fidel Ramos has also belittled the rumours of a coup, saying it couldn’t happen without his support. Meanwhile, Brig. Gen. Kakilala said today he had already deleted his Facebook post linking “a popular politician” — later revealed to be Sen. Trillanes — to the plot after he was informed that his source “could be fake news”.